Dare we say, red is not so dead? It is just appearing elsewhere in gentlemen’s attire: introducing the red suit! Red is a strong colour, and one that often has powerful meanings and emotions attached to it. It symbolises happiness, joy and fortune in Chinese culture. It is often called the colour love. Of Christmas. Of blood. It certainly is a statement colour, a bold and daring choice for any wearer. Red came to attention on the carpet (fortunately not also red) at the recent premiere for the movie The Lone Ranger, as modelled by actor Armie Hammer. It was the jacket colour allegedly preferred by the Queen for Prince William’s military uniform on his wedding day in April 2011. We think she was quite right! 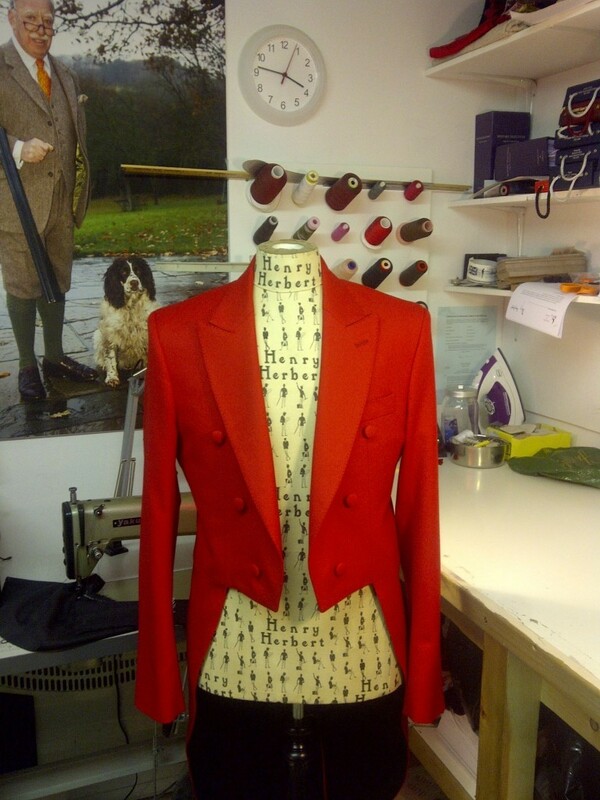 It was also the colour of choice on one of the most striking bespoke pieces that we at Henry Herbert have had the great pleasure of crafting: a red tail coat. On its own, the tail coat is already a particularly elegant formalwear choice, one that we are always hoping more people will choose. Coupled with a stand-out colour, a lovely true red, it makes for a remarkable, striking, yet elegant piece. It is one of the most unusual commissions we have seen in recent times, and it certainly does stand out. What hue would you choose? Would you dare to wear red? We always say to give it a try, and enjoy getting creative with colour. Last but not least, at Henry Herbert, there are no rules: just preferences. We think a bespoke suit should only do one thing: make you feel good. Red - not so dead? Introducing the red suit - Bespoke Suits By Savile Row Tailors. 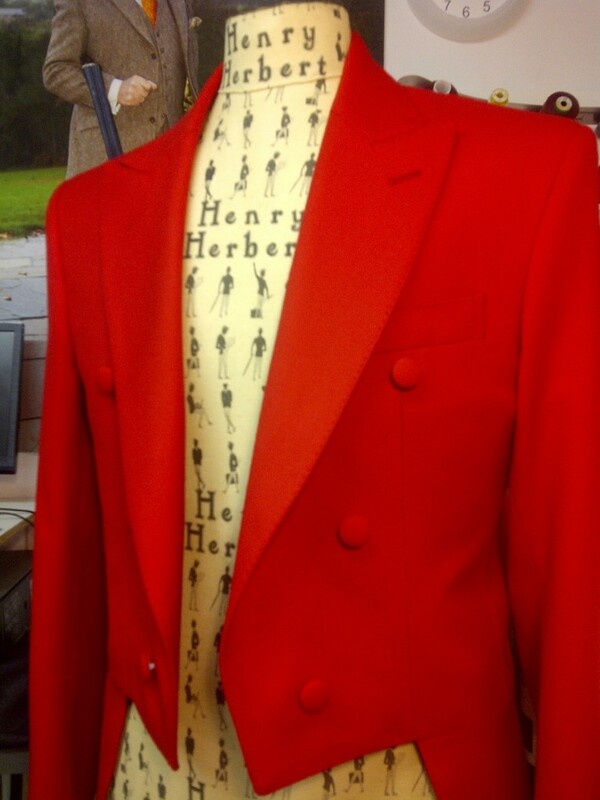 Introducing the red suit: one of the most striking bespoke pieces that we at Henry Herbert have had the great pleasure of crafting: a red tail coat. On its own, the tail coat is already a particularly elegant formalwear choice, one that we are always hoping more people will choose. Coupled with a stand-out colour, a lovely true red, it makes for a remarkable, striking, yet elegant piece. It is one of the most unusual commissions we have seen in recent times, and it certainly does stand out.